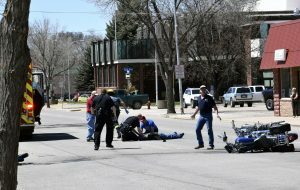 11:43 a.m. On the 300 block of West Third Street, officers with the Craig Police Department received an alert of a possible burglary from an alarm company. The alarm company canceled the call before officers were able to respond. 12:22 p.m. On the 1500 block of West Victory Way, officers responded to a non-injury vehicle crash. A silver Ford Edge backed into a Ford Escape. No injuries were reported, and both vehicles were drivable. A report was taken and a citation issued. 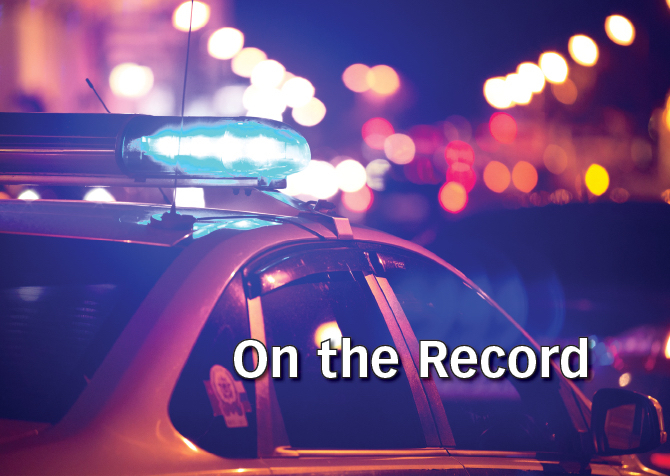 2:02 p.m. At the Public Safety Center, officers spoke with a woman who reported a man and another woman had been harassing her earlier in the day. The woman involved was contacted and issued a warning. 7:30 p.m. Near the intersection of Yampa Avenue and West 12th Street, officers made a traffic stop for a vehicle without visible license plates and issued a summons. 8:18 p.m. On the 700 block of Washington Street, officers responded to a report of a water main break and contacted the city. 9:01 p.m In the Craig area, officers received calls from residents reporting ash falling in town. 9:03 p.m. In Craig, officers attempted to make a warrant arrest. 9:10 p.m. At East Kum & Go, officers, arrested a 35-year-old Craig man for two counts of failure to appear on warrants from another agency. 9:38 p.m. At a restaurant on Victory Way, officers responded to a report of suspicious people. Juveniles walked through the drive through, because a trailer would not fit through it. 10 p.m. On the 800 block of Yampa Avenue, officers responded to a report of suspicious activity. The caller thought a drug deal had occurred and requested extra patrols. 2 a.m. On the 400 block of Lincoln Avenue, officers made contact with two young men who were headed home. 4:05 a.m. On the 2000 block of West Third Street, officers responded to a call about a disturbance. A man was banging on a woman’s door. The man was contacted by officers. 5:20 a.m. Near the intersection of East Seventh Street and Texas Avenue, Officers responded to a report of a suspicious man standing in the middle of the road smoking a cigarette. He moved out of the road. 6:08 a.m. At East Kum & Go, officers contacted a young man who was outside the business. He was accompanied by an adult who was inside the store. 6:50 a.m. In Craig, officers attempted to make a warrant arrest. 6:58 a.m. On the 1500 block of Yampa Avenue, officers arrested a 34-year-old man from Rock Springs, Wyoming, for a felony warrant out of Adams County and also charged him with unlawful possession of a schedule 2 substance, possession of drug paraphernalia and driving while under restraint. 7:44 a.m. Near Hospital Loop Road and Moffat County Road 7, officers investigated a vandalism report. The caller said people living under the bridge were leaving significant amounts of trash. 9:26 a.m. On First Street, officers assisted a motorist who was picking up trash that came off his vehicle. Officers helped with traffic control. 11:24 a.m. On the 700 block of Yampa Avenue, officers took a report of a stolen bicycle. 5:55 p.m. Near the intersection of West Circle Drive and Crabb Street, officers received a call that a bicycle reported as stolen was found and retrieved from a person riding it. The thief got away. 7:20 p.m. On the 100 block of Woodbury Drive, officers investigated a fraud report. The caller reported someone was using his credit cards. A report was taken, and the incident is under investigation. 9:31 p.m. On the 400 block of Yampa Avenue, officers responded to a report of a man threatening to kill someone and screaming. Officers were unable to locate the man. 10:25 p.m. Near the intersection of East Seventh and Rose streets, officers responded to reports of a suspicious person. A man dressed in white in his mid-30s was chasing the caller. The suspect was contacted and issued a warning. 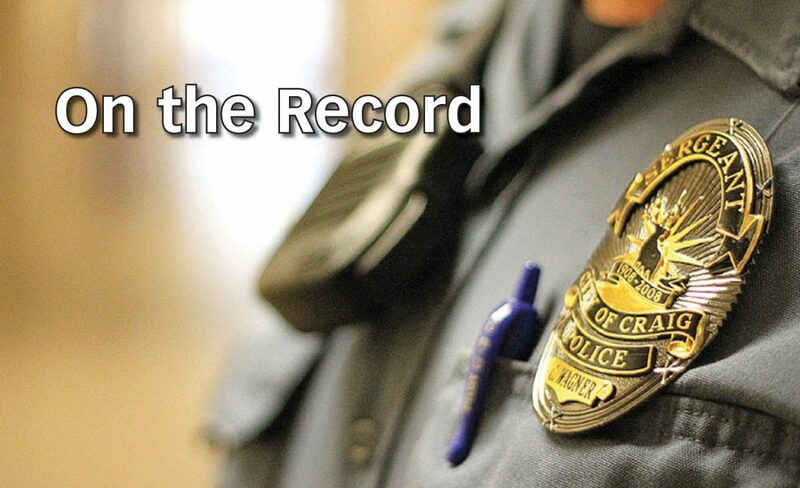 10:28 p.m. At a Craig motel, officers responded to a caller reporting harassment. A male customer, who had allegedly been drinking, was yelling at the female caller. She requested a restraining order and was advised the officers were unable to give such orders. 10:55 p.m. On the 1200 block of West Ninth Street, officers responded to a report of suspicious cars driving around the parking lot. When officers arrived, could locate no cars, but they noted it appeared donut marks had been left in the dirt. 1:15 a.m. Near the Fairgrounds Barn, officers contacted a person in a vehicle who was cleaning his vehicle and said he would be leaving soon. 1:50 a.m. Near the intersection of Circle Driver and Cedar Mountain Trailer Park, a man yelled at the officers for using their red and blue lights when making a traffic stop nearby. 9:04 a.m. Near the intersection of West First Street and Colorado Highway 13, officers contacted a hitchhiker. Everything was OK.
10:05 a.m. Near the intersection of Conner and Baker drives, officers received a call from a man who suspected a vehicle he had left at a woman’s house had been vandalized. The vehicle wouldn’t start, and he felt it had been damaged, adding he thought the gas tank had been punctured. 11:21 a.m. In the 900 block of Yampa Avenue, officers responded to a report of a threat. A man was having trouble with an ex-girlfriend who was supposed to be moving and would not leave. The man wanted to speak with an officer. 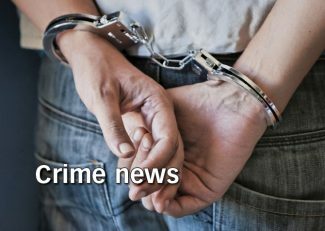 1:44 p.m. On the 400 block of East Seventh Street, Officers arrested a 26-year-old Craig woman for failure to appear on a Moffat County warrant. 5:00 p.m. Near Woodbury Park, officers responded to a report that the sprinklers were on for the entire day. City Parks and Recreation was advised. 7:17 p.m. On the 500 block of West Victory Way, officers issued a citation to someone parked in a handicapped zone. 8:24 p.m. On the 600 block of Wickes Avenue, officers responded to a report of an assault. The caller stated he was maced, but would not say when the incident occurred and did not wish to make a report.